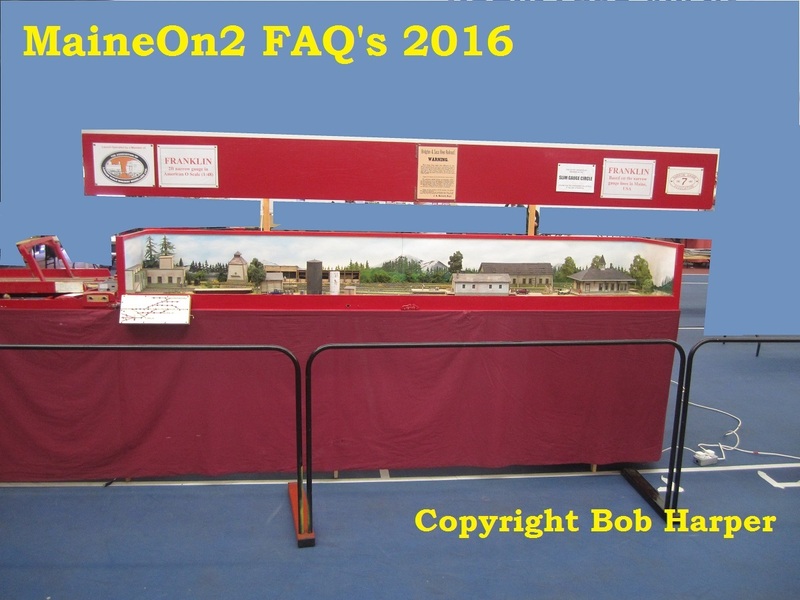 Here is a little more On2 history. 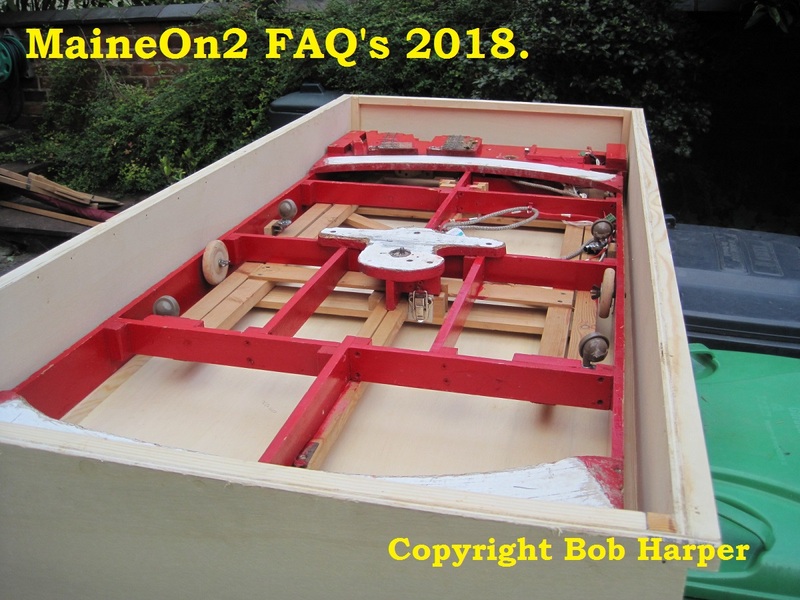 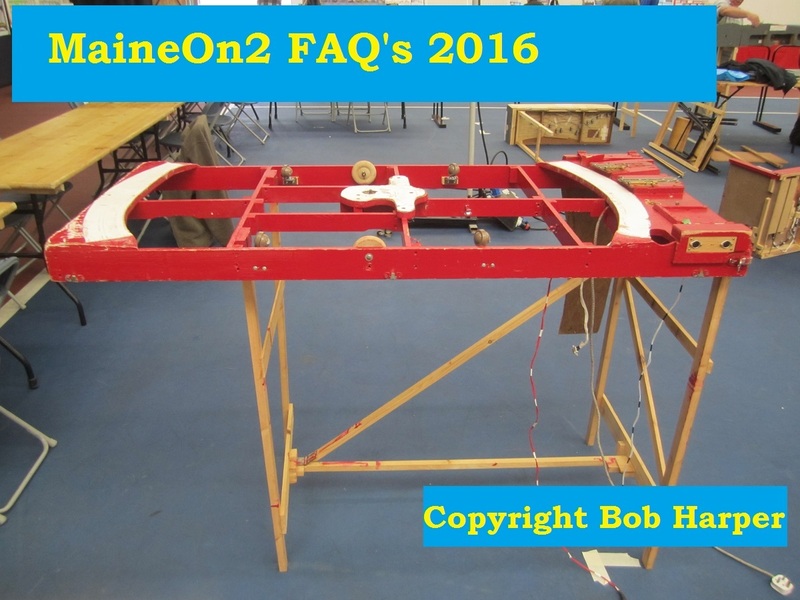 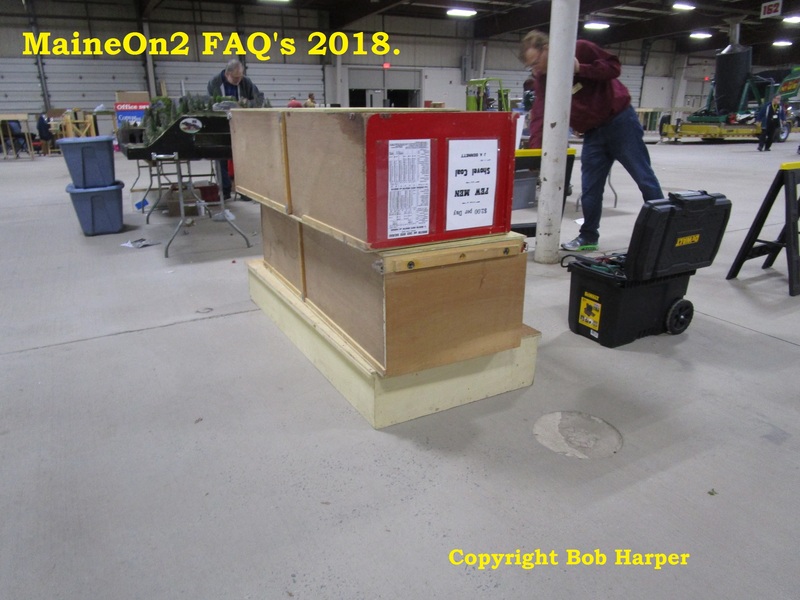 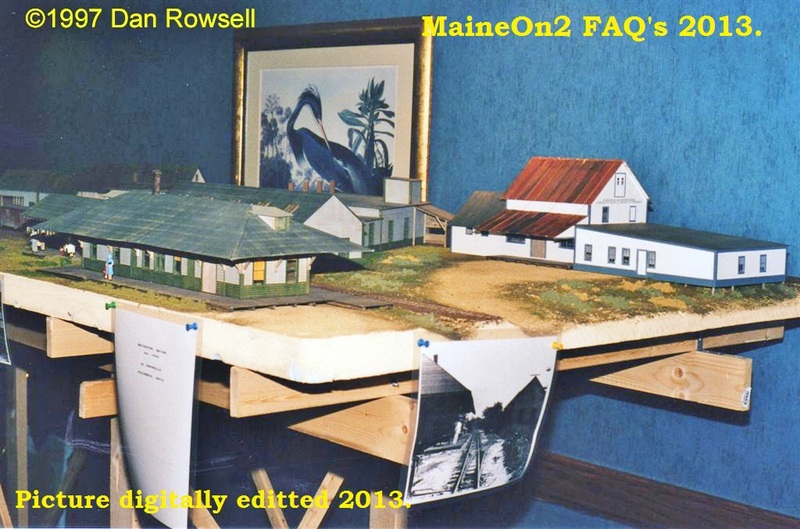 My brother Ric and I first started modeling the Maine two footers in 1961 after reading Allan Hanson’s article “The Sandy River Goes HOn2” in the April 1961 issue of Railroad Model Craftsman. 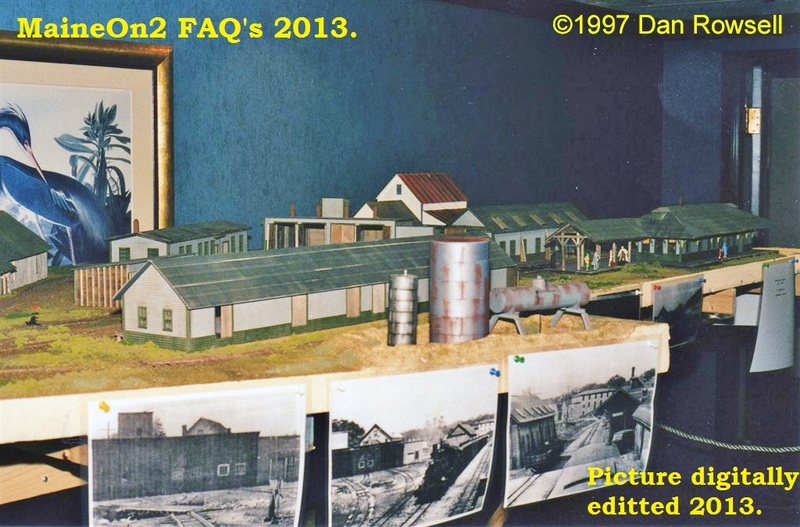 We began modeling in HOn2. 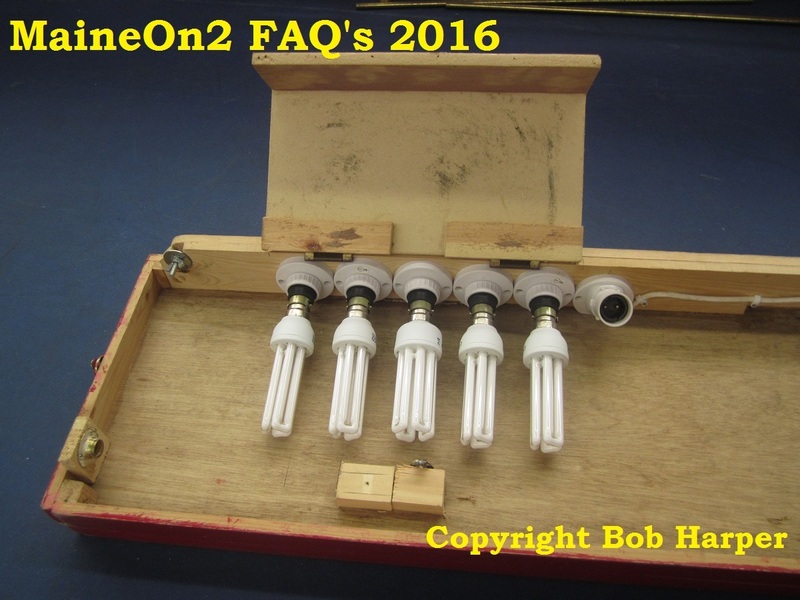 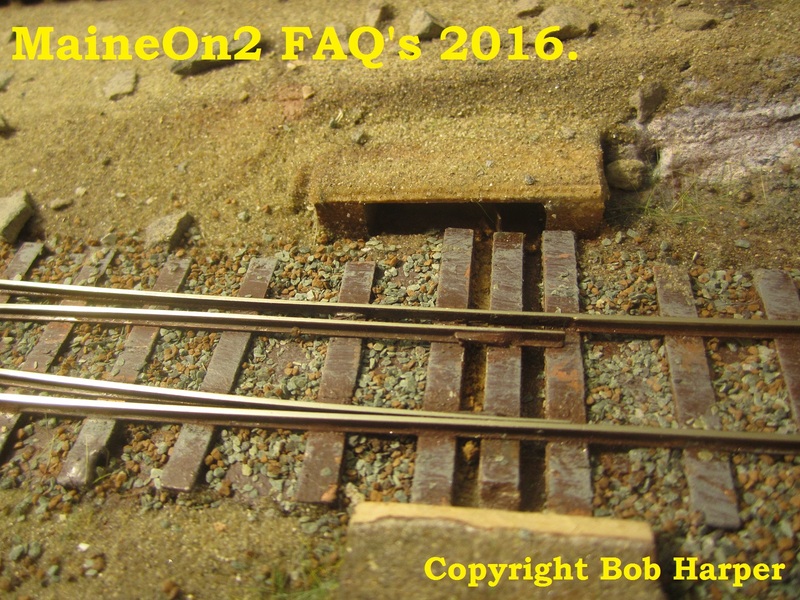 In 1970 we switched to On2 so we could get more detail in our models. 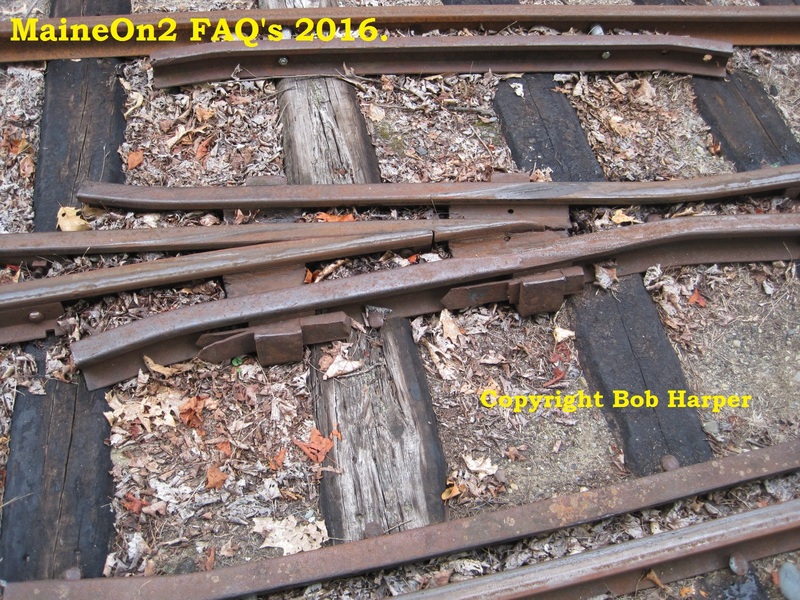 These pictures were taken on Ric Collins’ now defunct SR&RL On2 railroad. 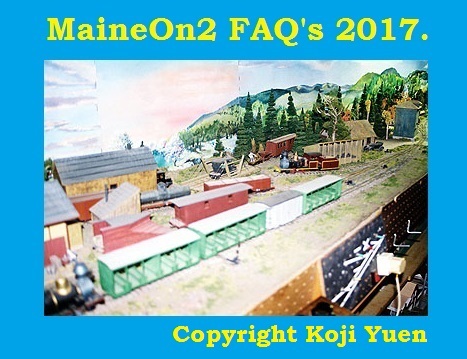 Ric’s railroad depicted the SR&RL circa 1914-1918 and modeled the line from Phillips, Maine to Rangeley, Maine. 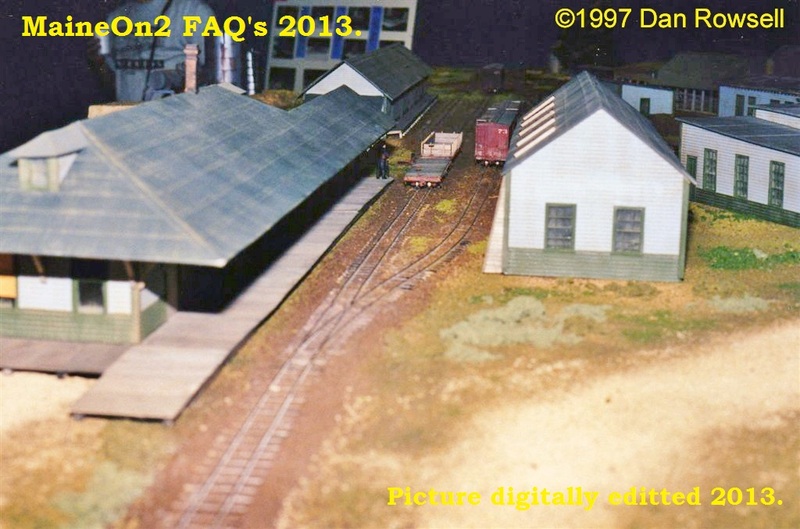 The pictures were taken in the early 1990’s before Ric had to dismantle the railroad because of a move. 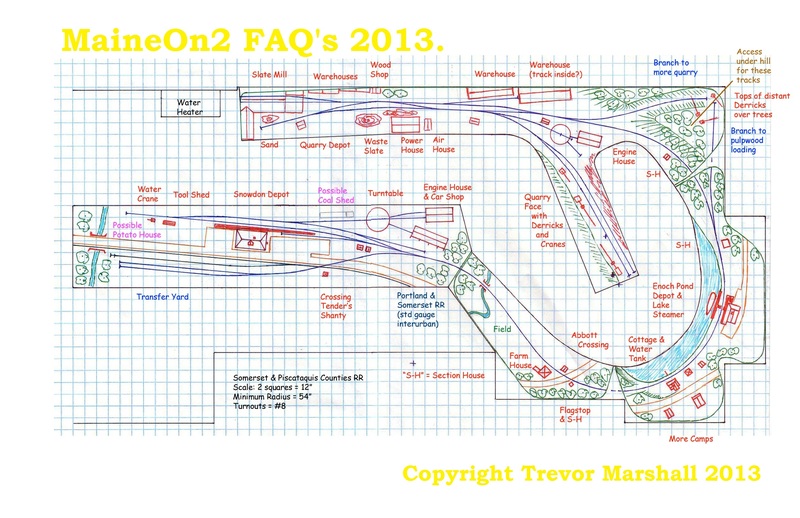 It was never rebuilt. 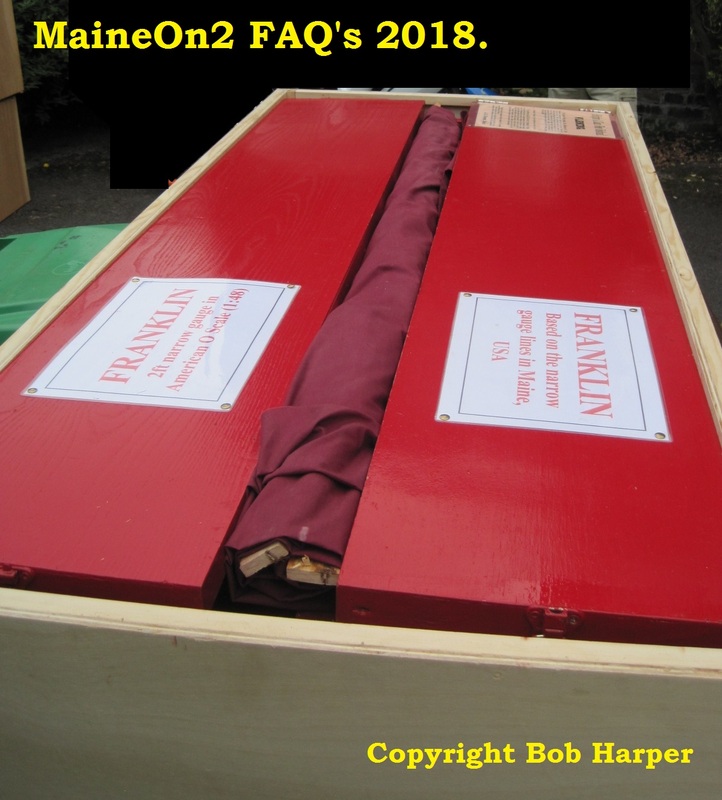 The rumors of my demise have been greatly exaggerated. 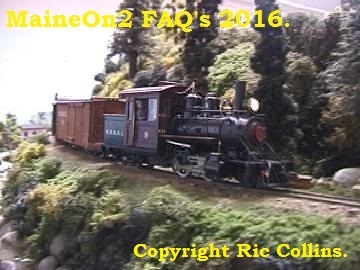 My name is Chuck Collins and I was the one that ran Narrow Gauge Specialties. 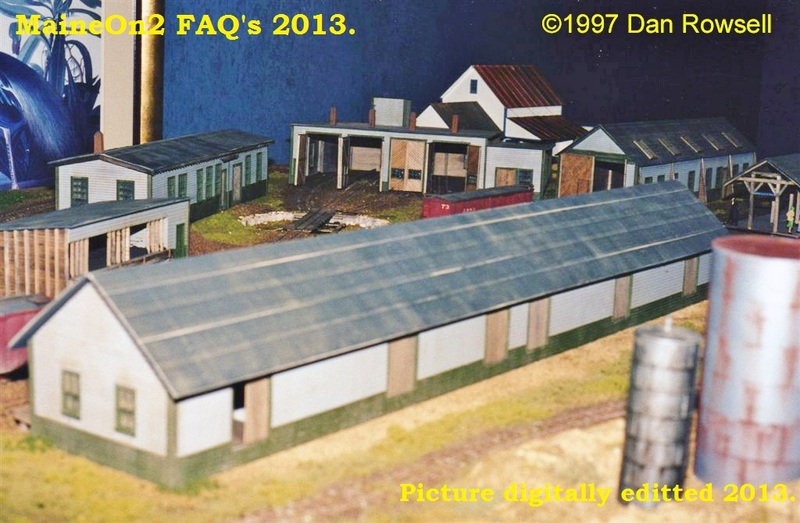 I am still in this world for now but not sure for how long. 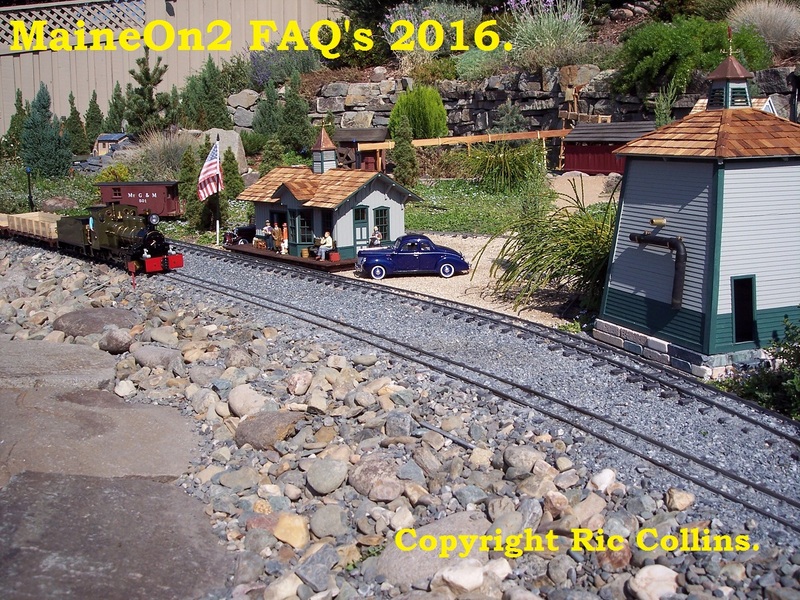 My brother Ric Collins is also still living. 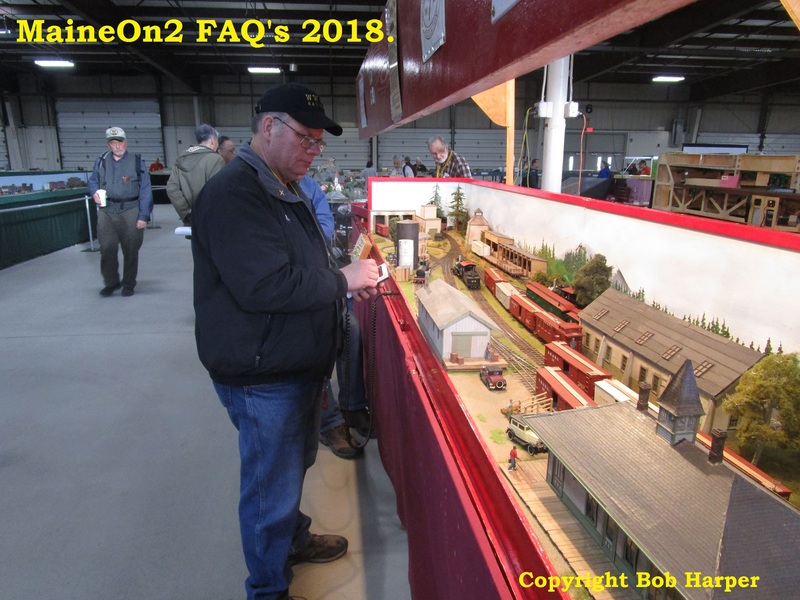 Neither of us model in On2 anymore. 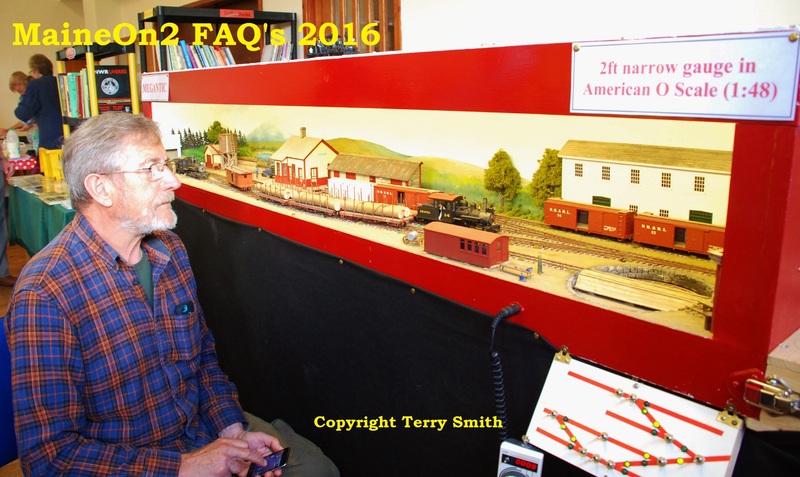 We are both involved in small scale live steam trains. 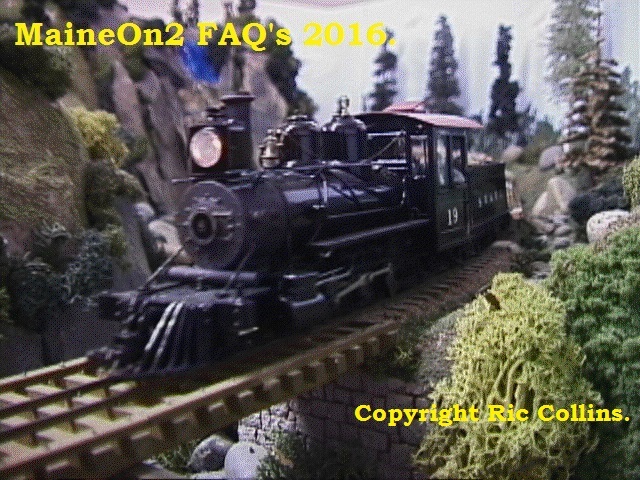 Now let’s resume that trip and enjoy the scenery. 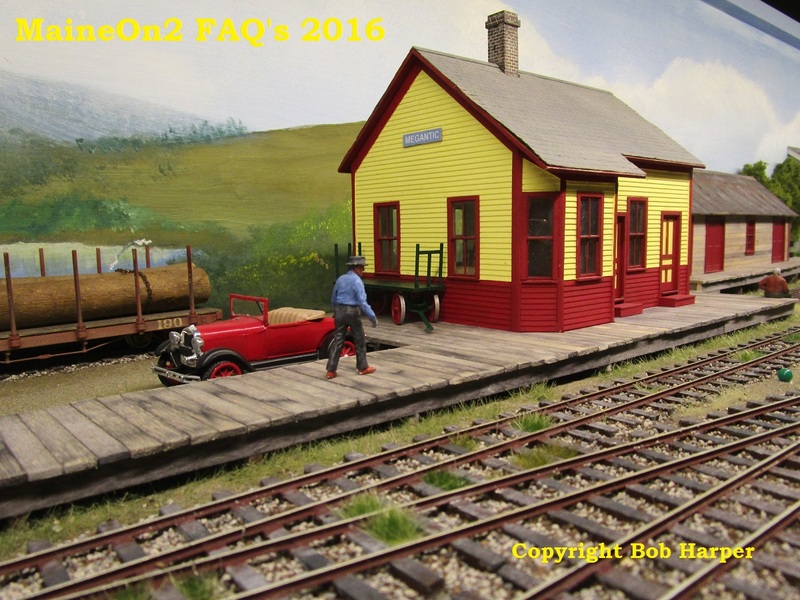 SR&RL #9 on Sluice hill. 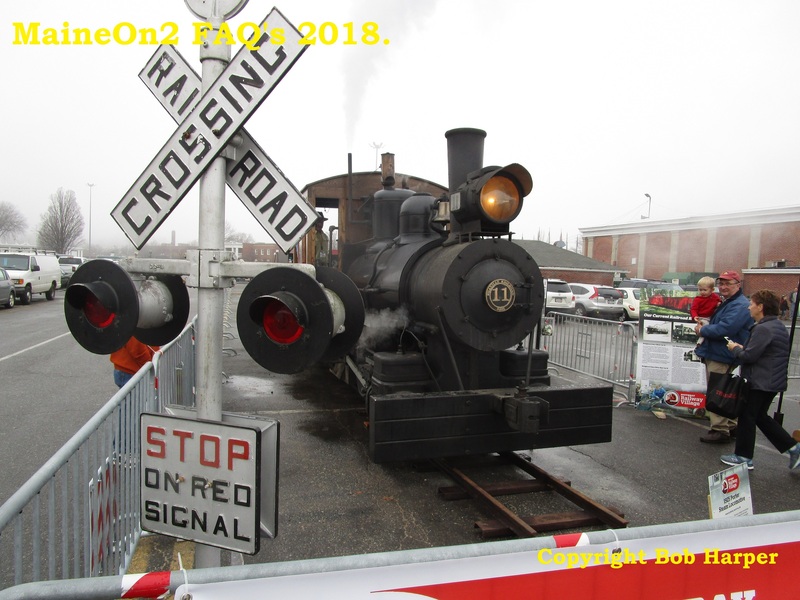 SR&RL #10 crossing Main Street. 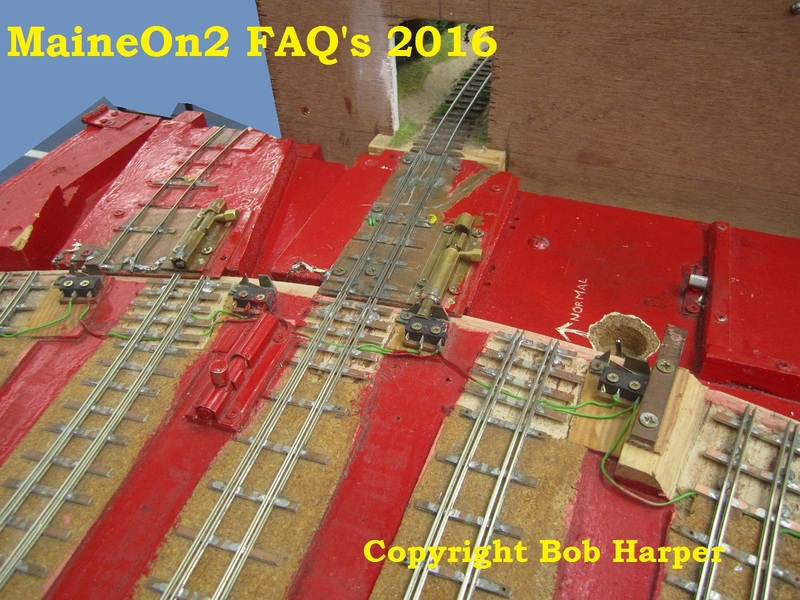 SR&RL #19 on the bridge. 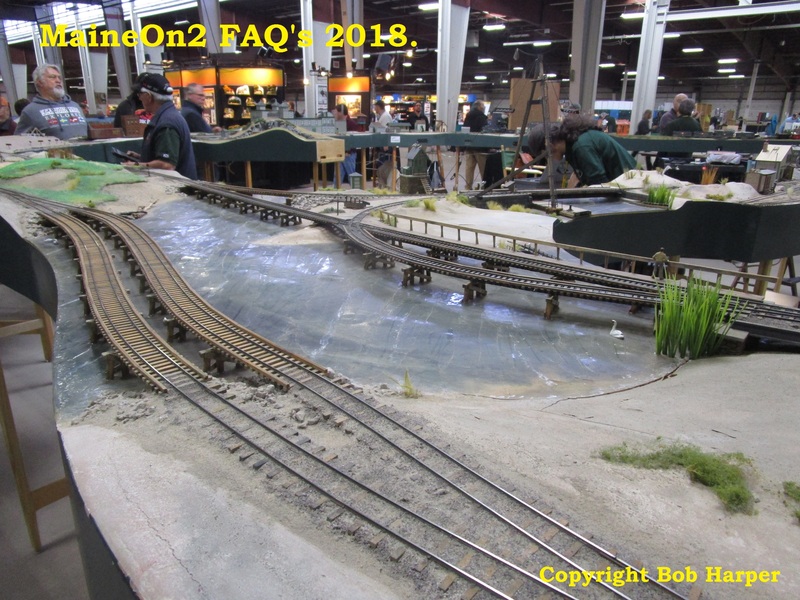 SR&RL #19 and log train crossing the highway. 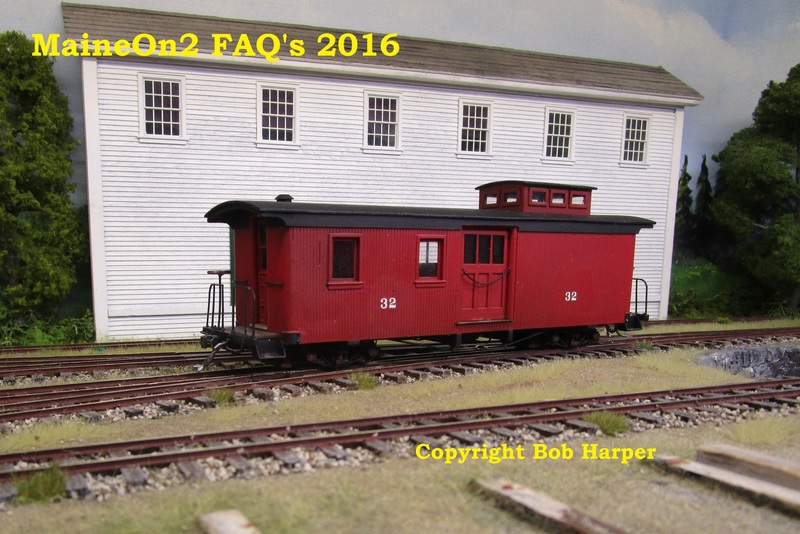 SR&RL #19 and log train coming down Sluice hill. 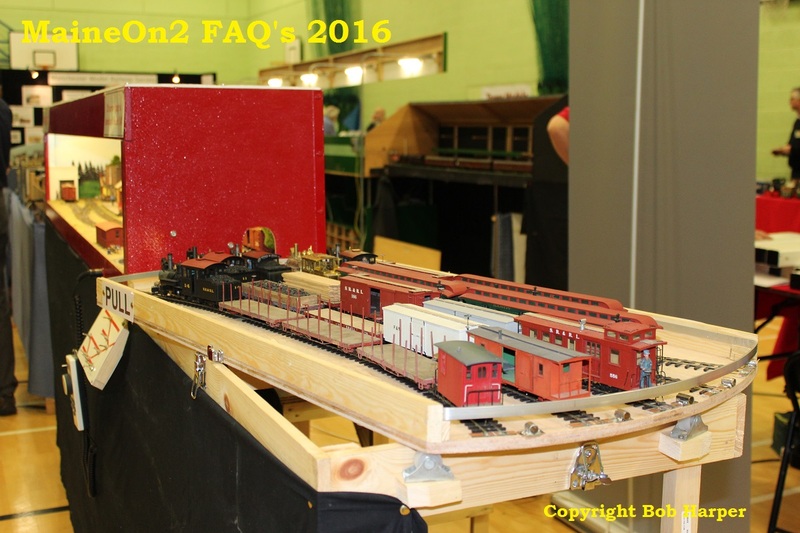 SR&RL #20 and train going up Sluice hill. 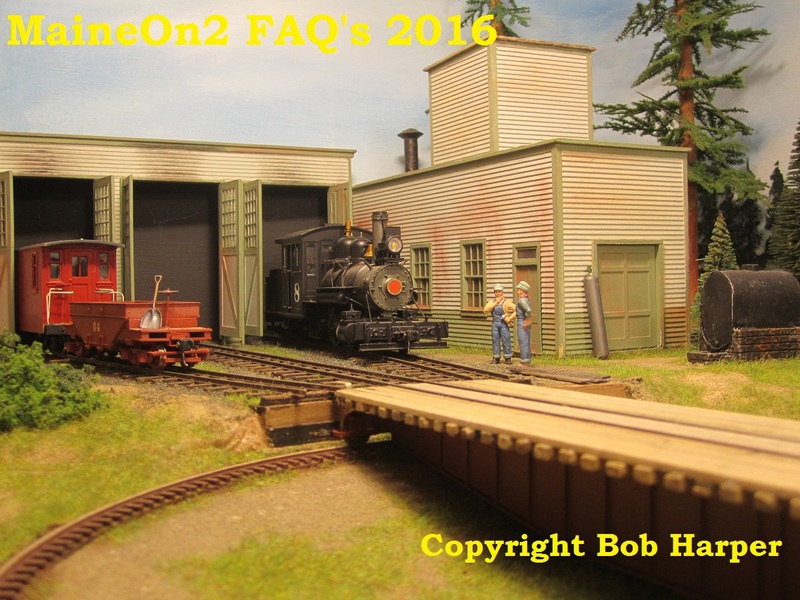 SR&RL #22 passing the Phillips engine house. 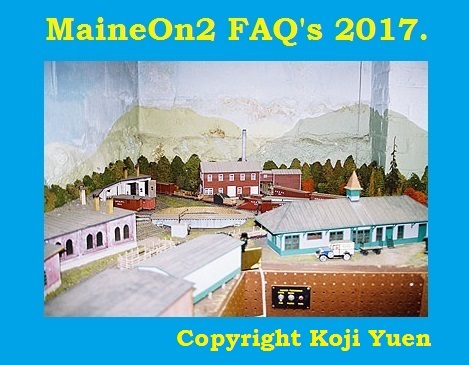 This picture featured as the Maine On2 Yahoo! 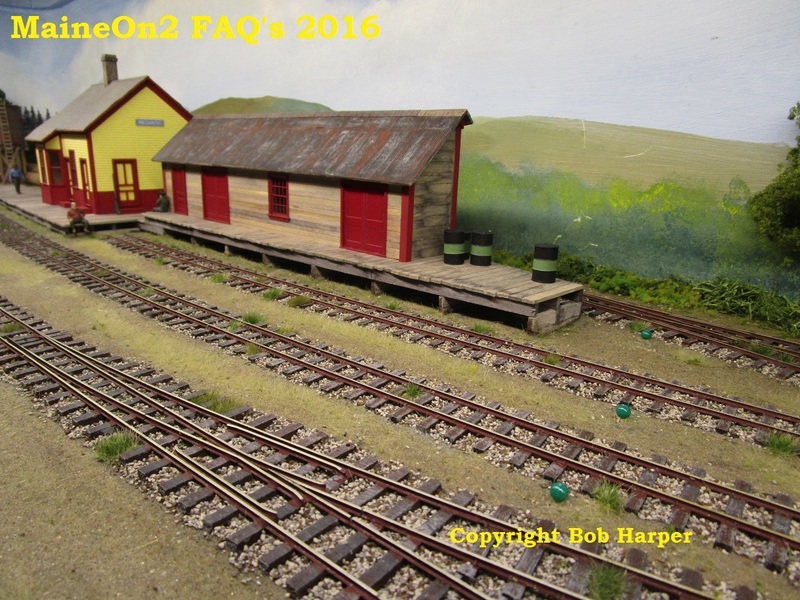 group home page heading picture in mid 2008. 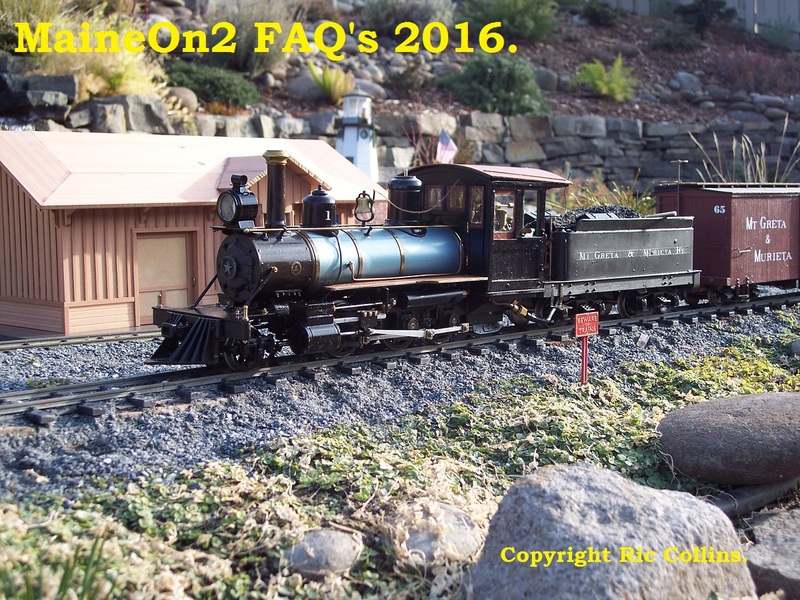 Chuck Collins wrote “It shows SR&RL #24 after her recent arrival from Baldwin Locomotive Works, sitting in front of the depot at Phillips. 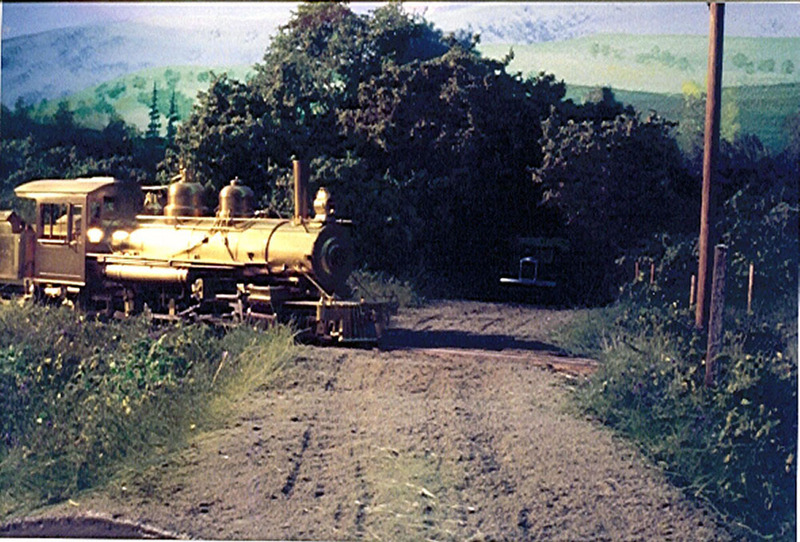 The locomotive is a Custom Brass Import which was detailed and painted by my brother, Ric Collins”. 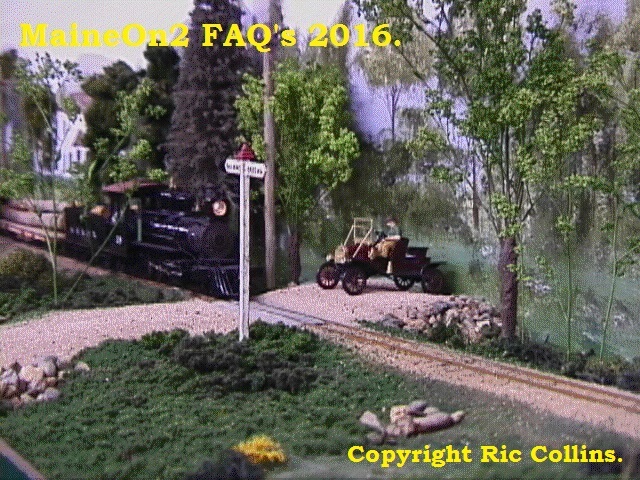 SR&RL #24 and train going up Sluice hill. 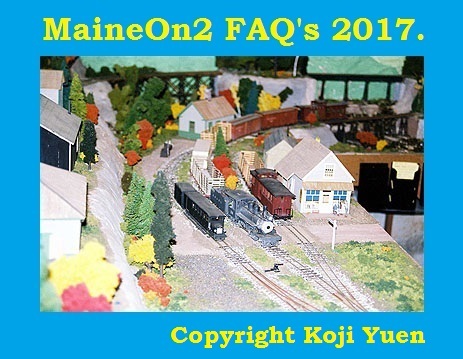 Here is a little digression from Maine On2 ………………….to show there is life afterwards!…………..
Here’s a snapshot of Trevor Marshall’s Somerset & Piscataquis Counties RR. 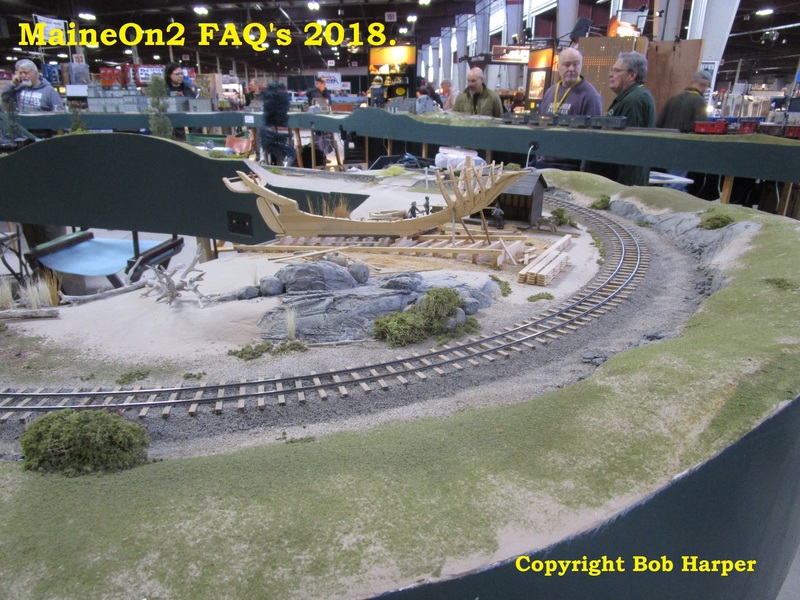 This freelanced line was based around his interests in slate quarries and Maine Two Footers, and existed in his Toronto basement from 2003 until 2011. 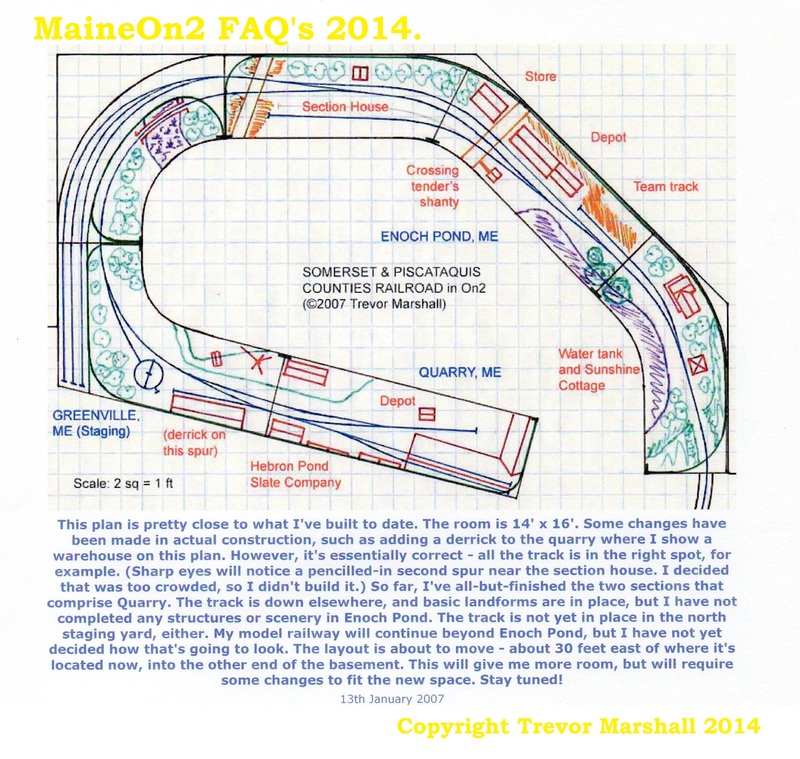 This was superceded by the plan below when more space (31 feet x 14feet approximately)became available. 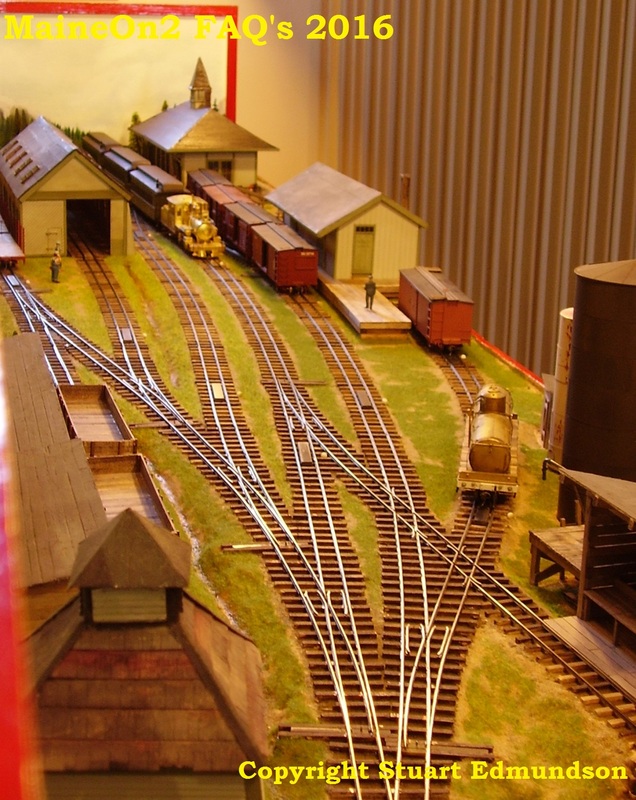 This plan was not completed before it was supeceded itself by the S scale Canadian National layout “Port Rowan” which now occupies the space. 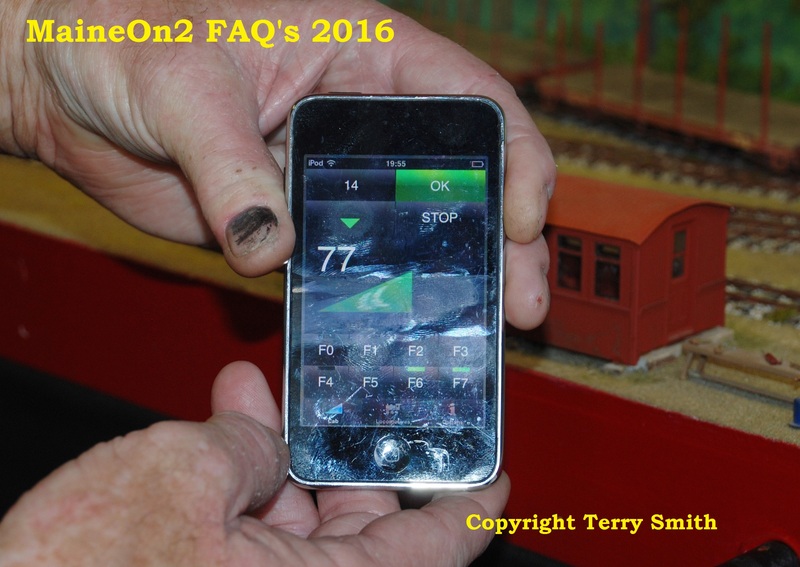 Trevor is an exponent of telling a story with his model railroads and pictures. 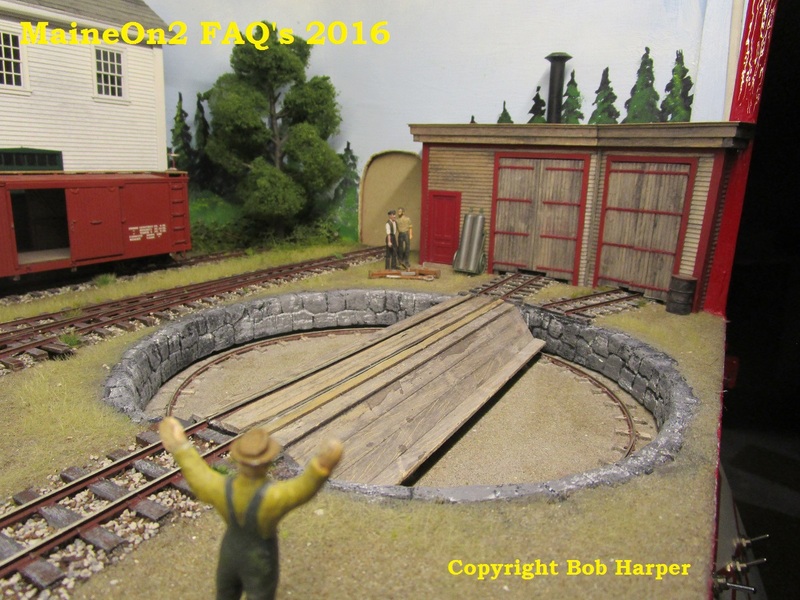 Below we see the sequence of operations as the S&PCRR took delivery of a new snowplow and prepared it for winter operations, including turning it on a turntable. 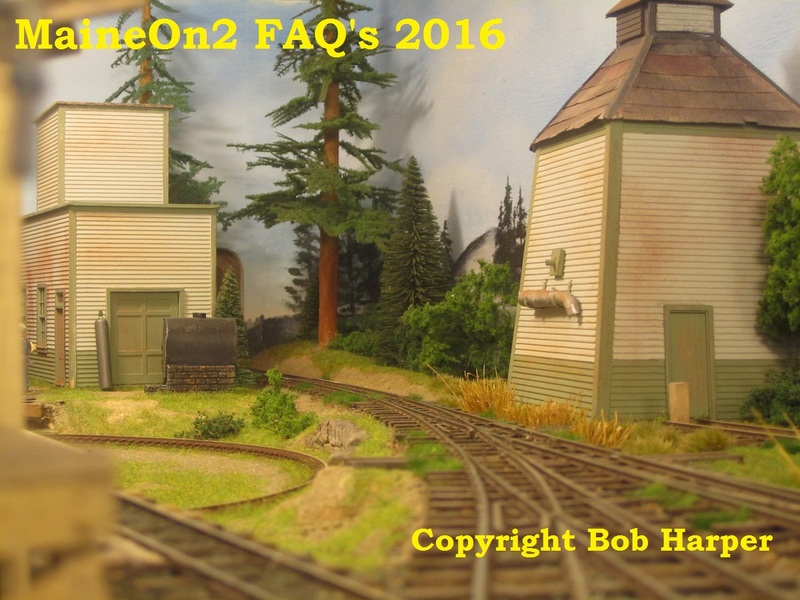 November 2016: we have found more pictures of Trevor’s layout hiding away in the files featuring the S&PCRR. 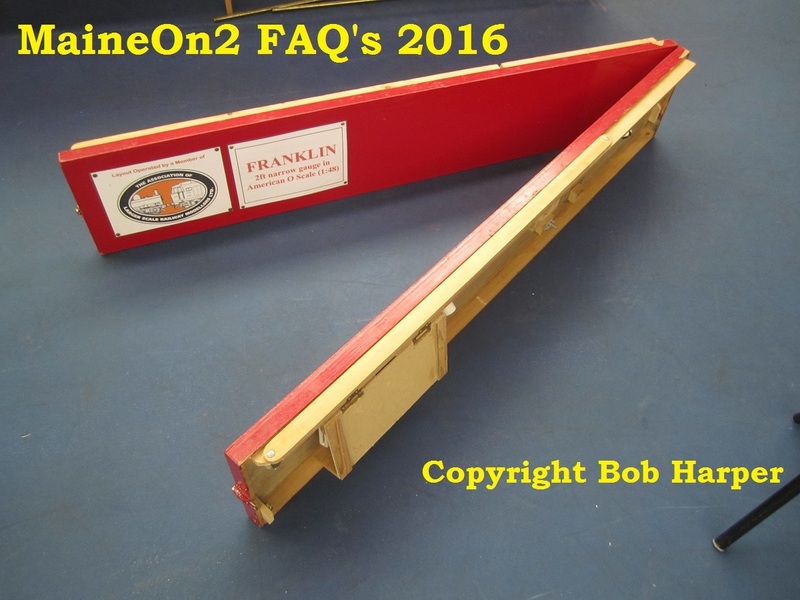 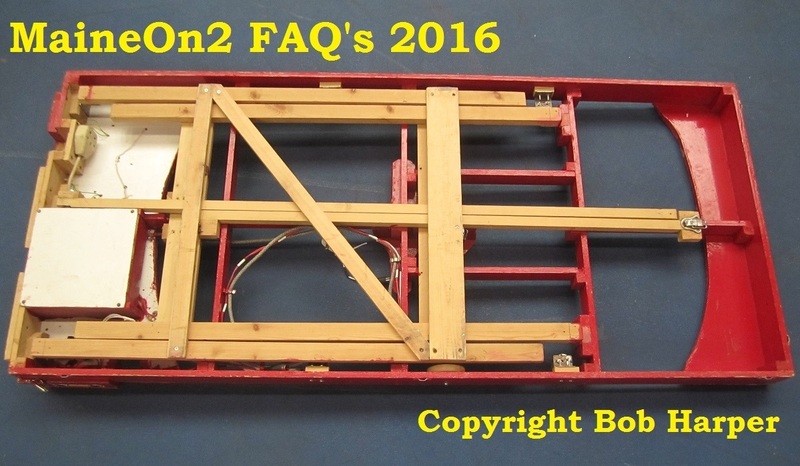 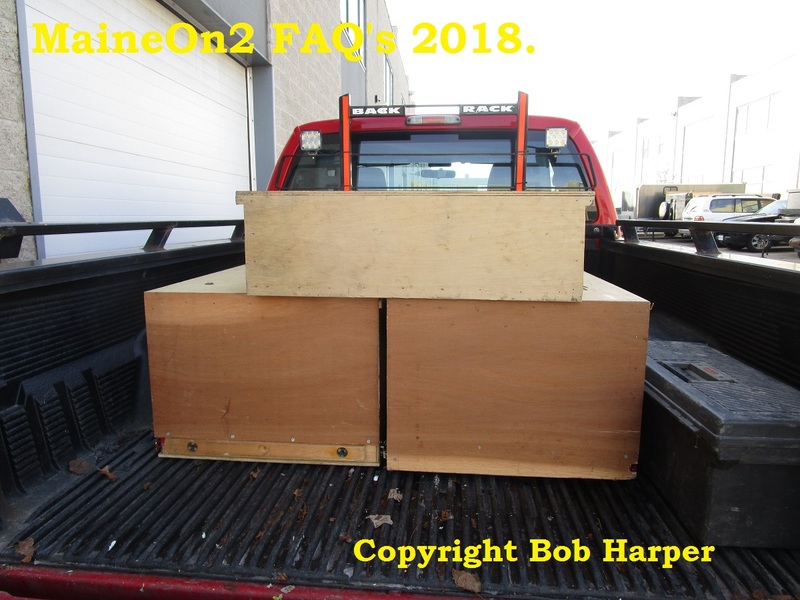 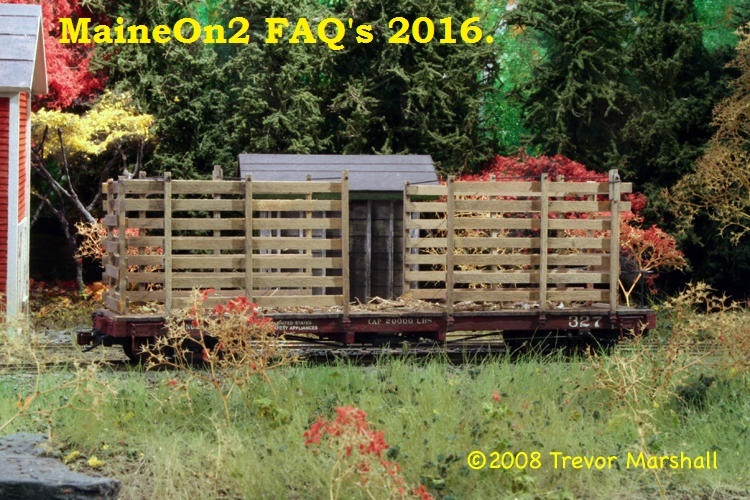 Shown below are 2 pictures of Pulpwood flat car #327 with rack. 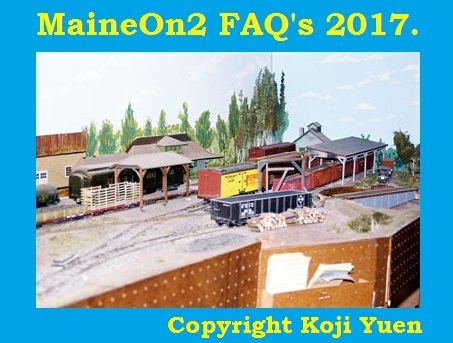 Here is a rare overhead shot of the Hebron Pond Slate Company sheds and trackage showing the railbus and trailer waiting at the small passenger depot. 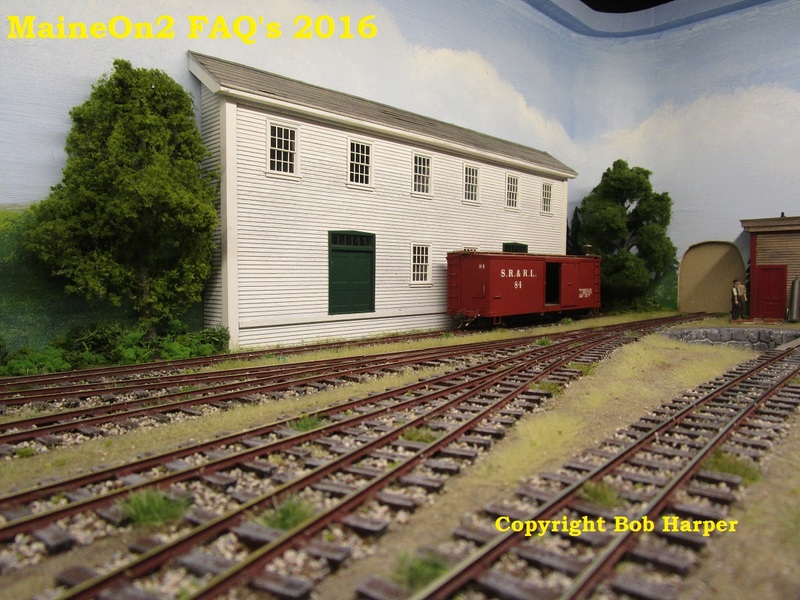 The picture below shows the Enoch Pond station area under construction. 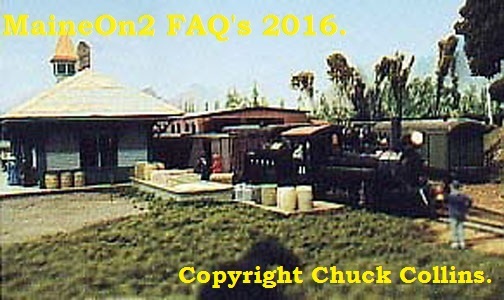 The Depot building was later used in the second iteration of the S&PCRR as the Snowdon Station. 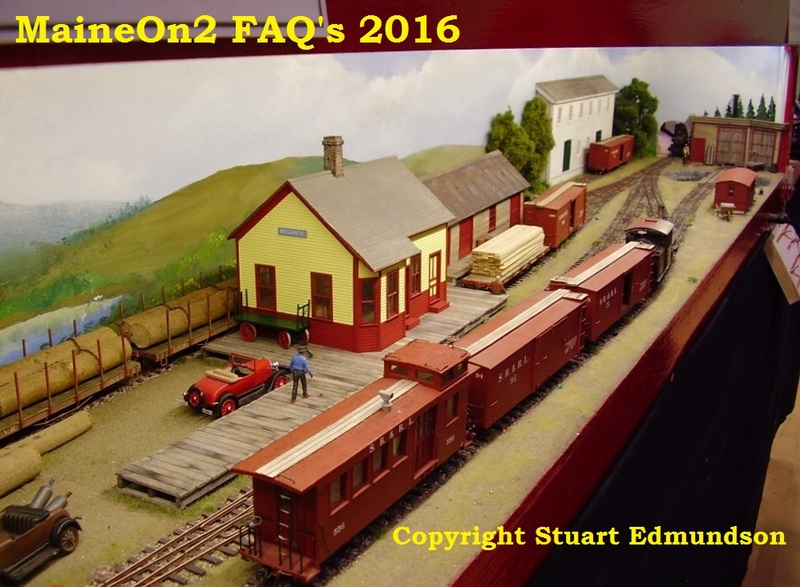 And here is a picture of the transfer yard at Snowdon on the second iteration of the S&PCRR. 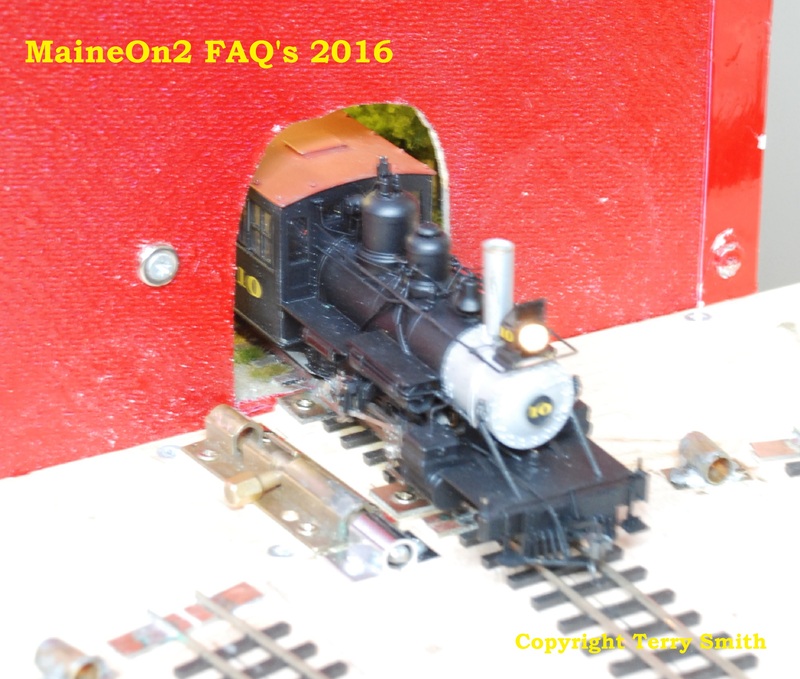 For more pictures of the S&PCRR visit Trevor’s own website from the link in the sidebar on the right. 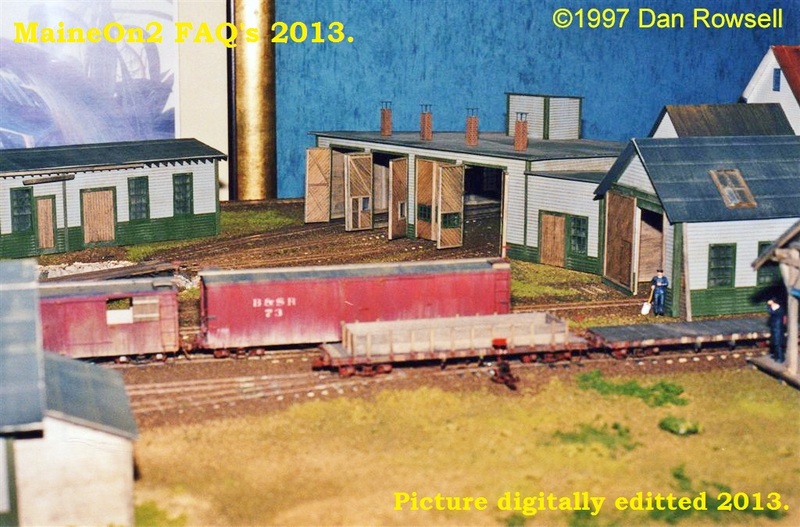 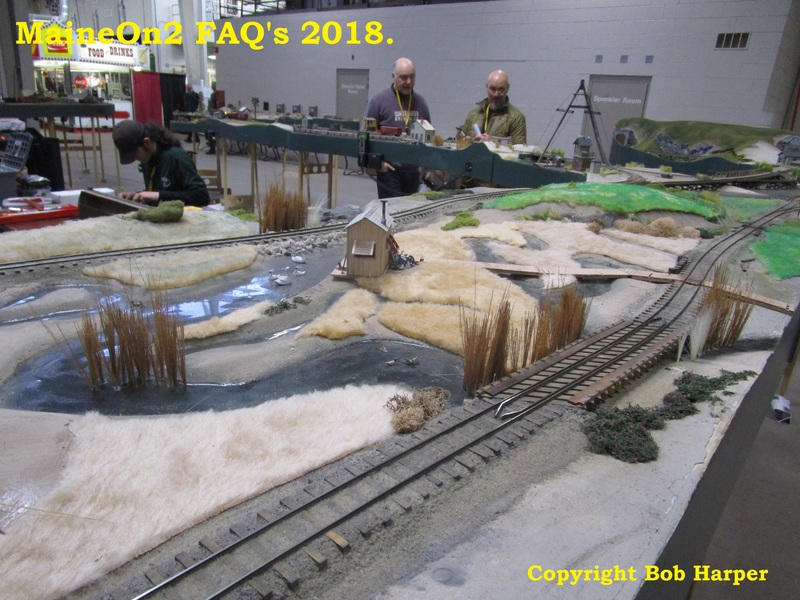 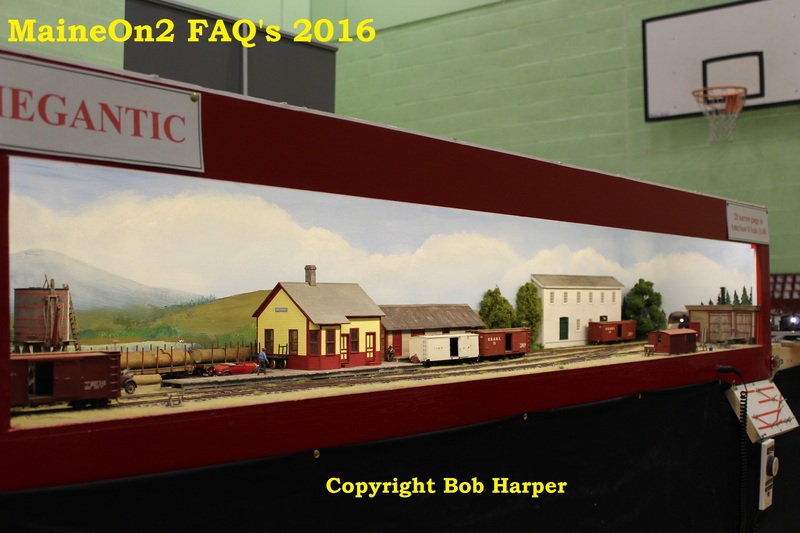 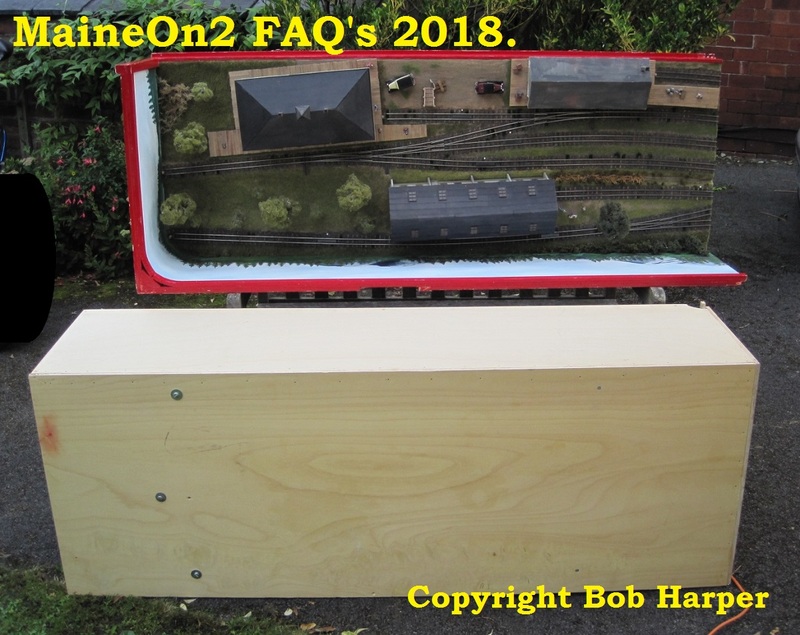 To visit Trevor’s current blog about his S scale Canadian National layout “Port Rowan” click here. 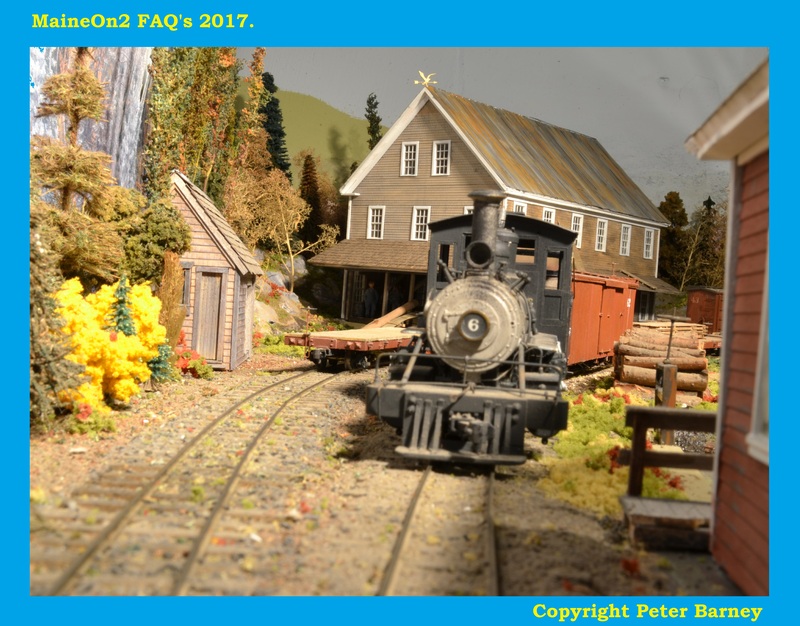 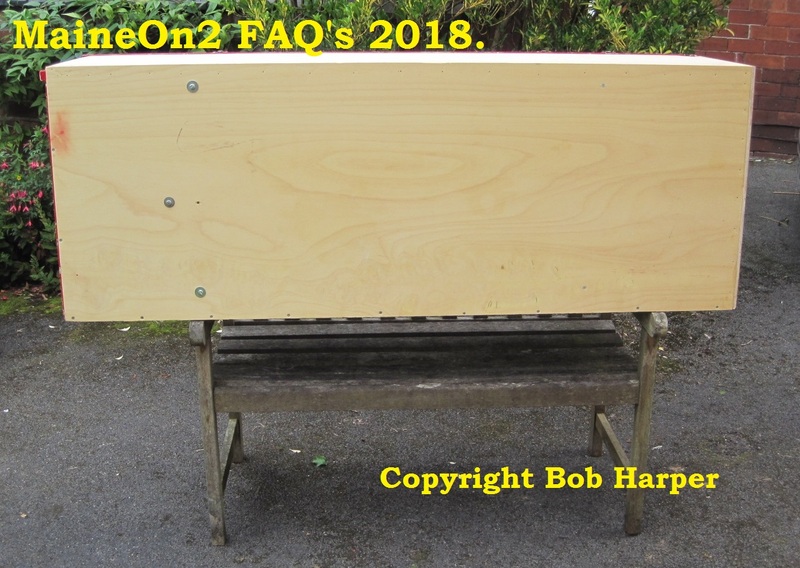 Update 16 March 2017:- Trevor has written about the design of his layouts and some of what he learned on his Achievable Layouts blog, and he has illustrated the posting with a lot of pictures – so if you enjoy looking at Trevor’s modeling or are inspired by his writings, then you should take a look. 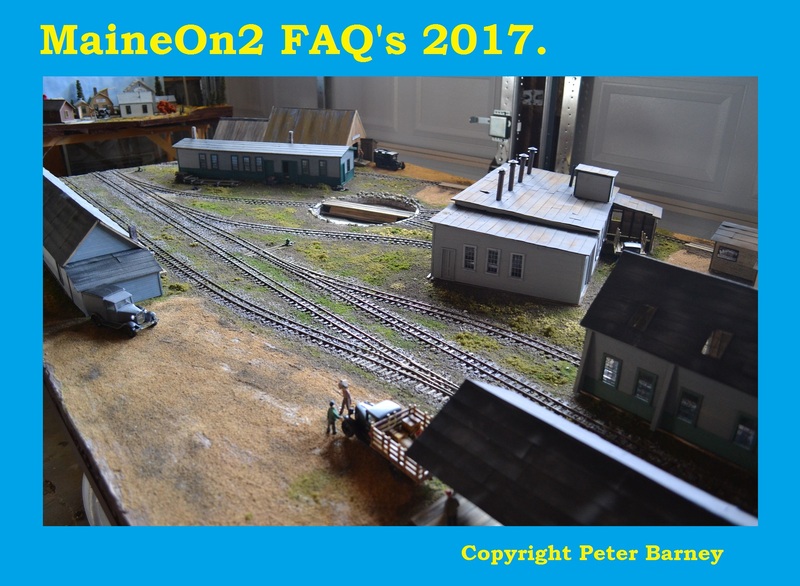 Click here to view on another browser page. 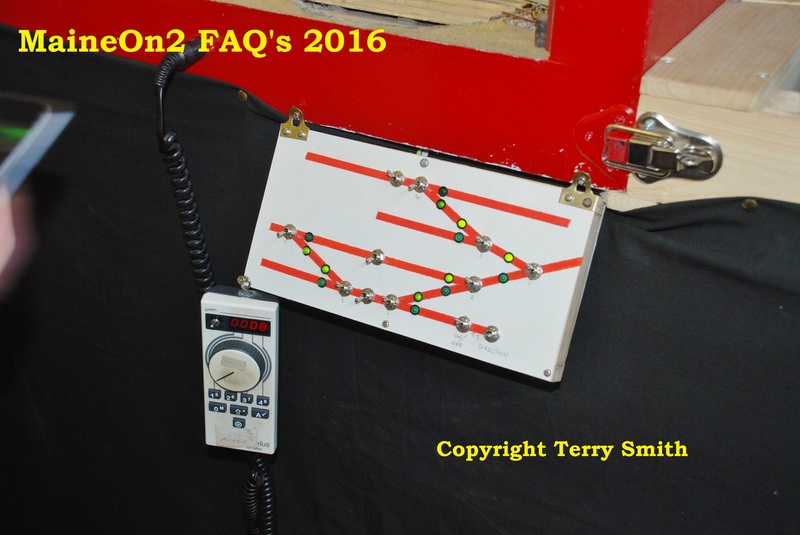 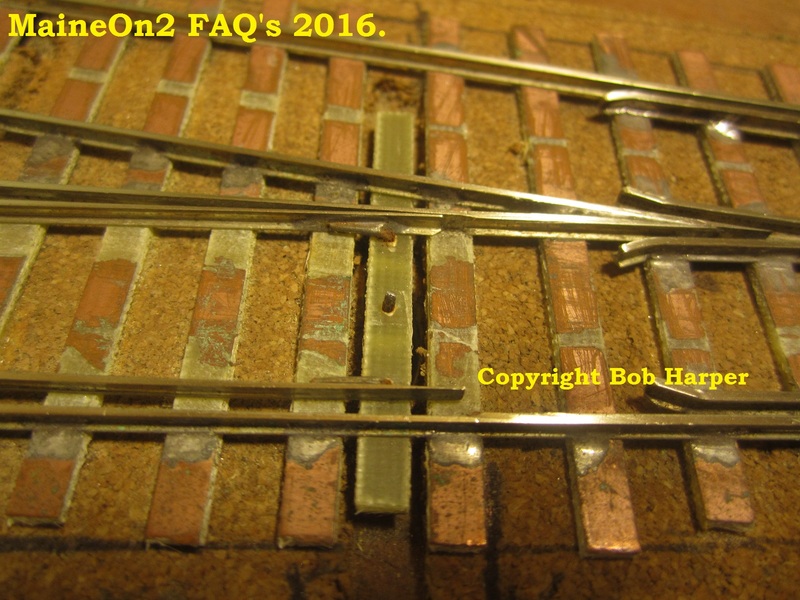 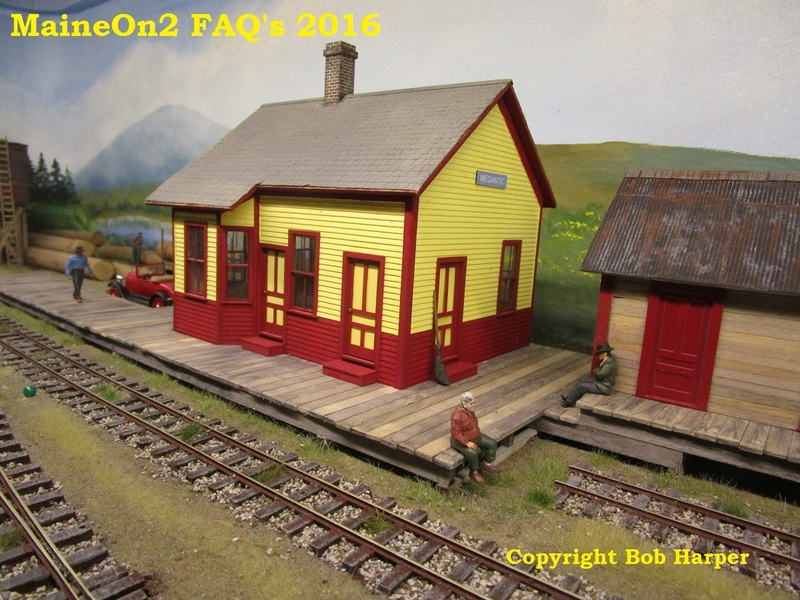 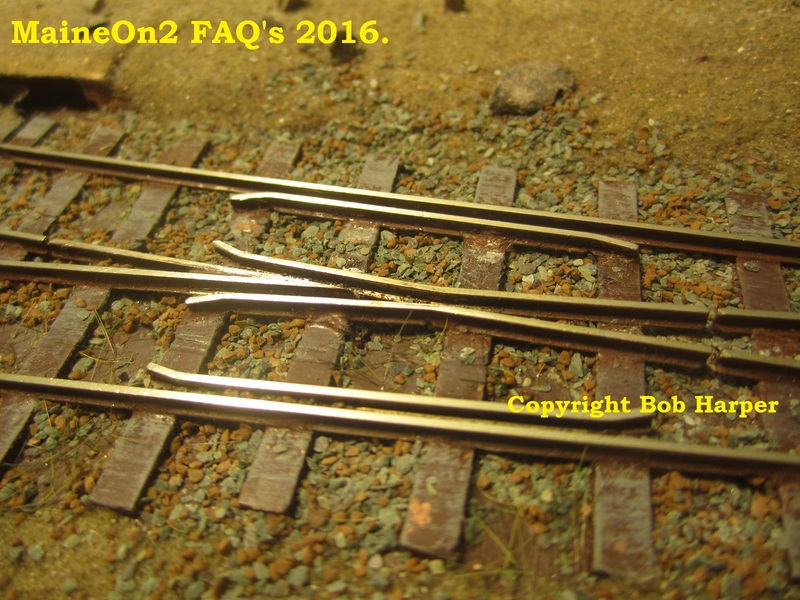 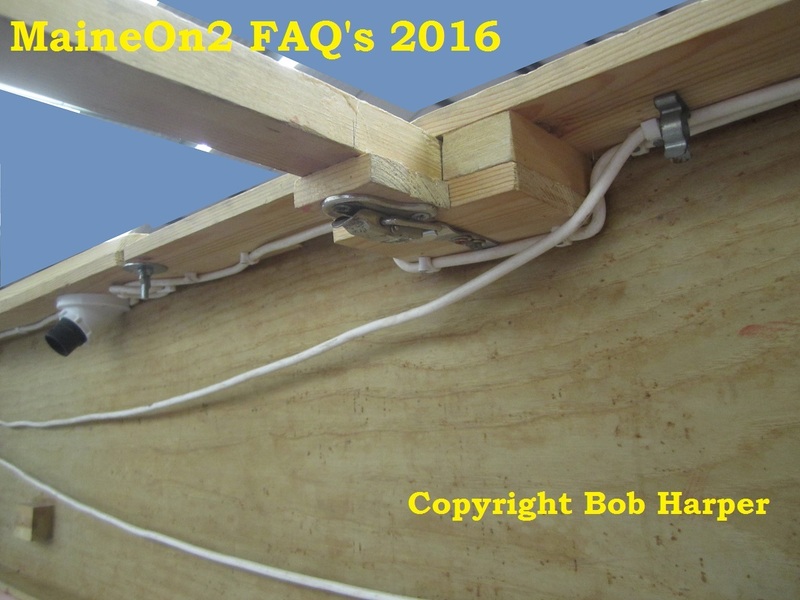 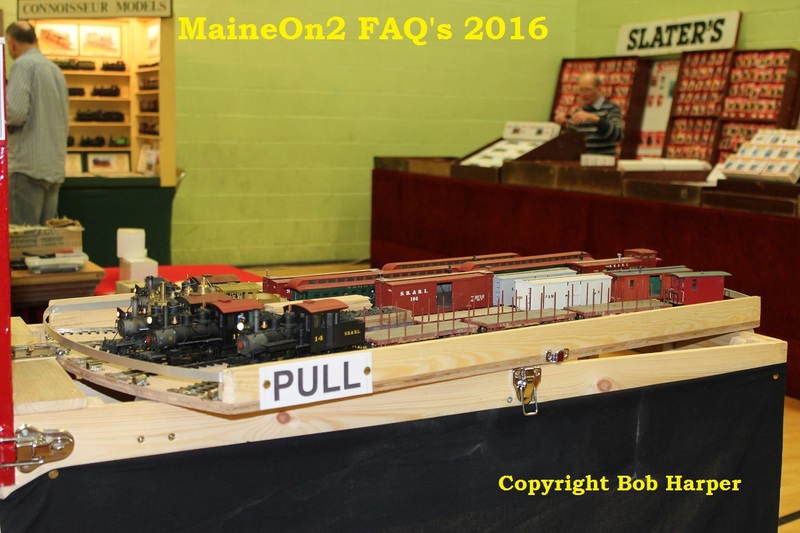 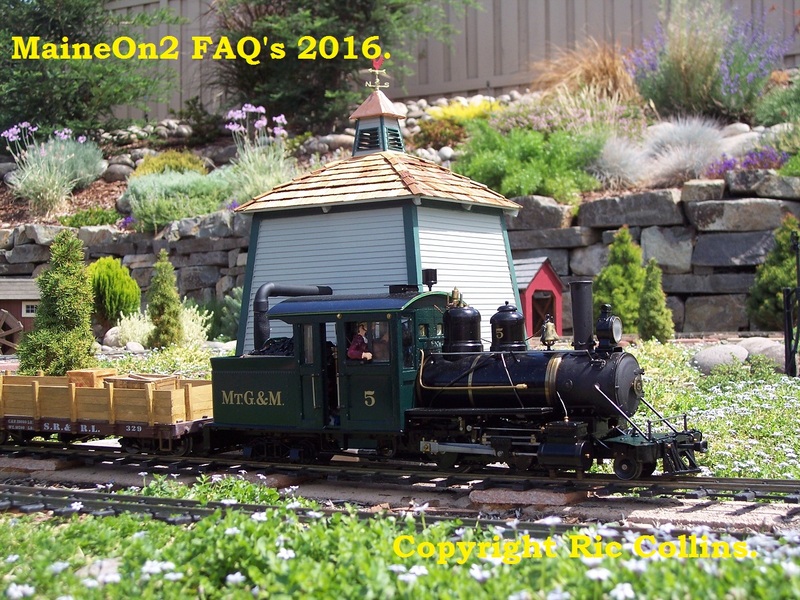 Maine On2 layouts – Al Churella’s Bridgton, Me. 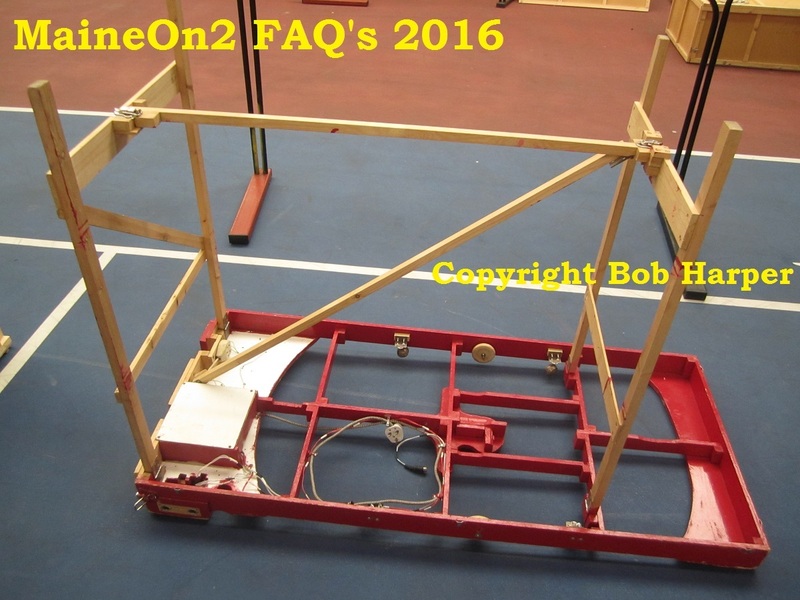 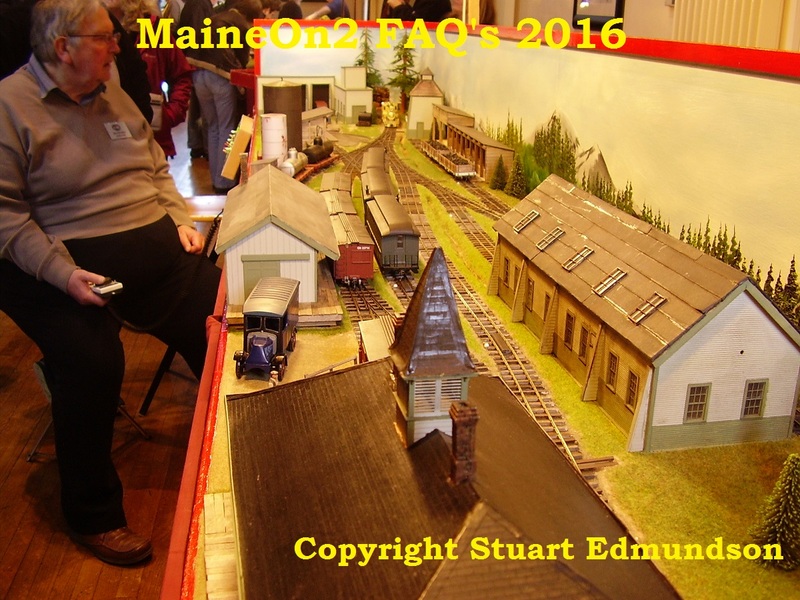 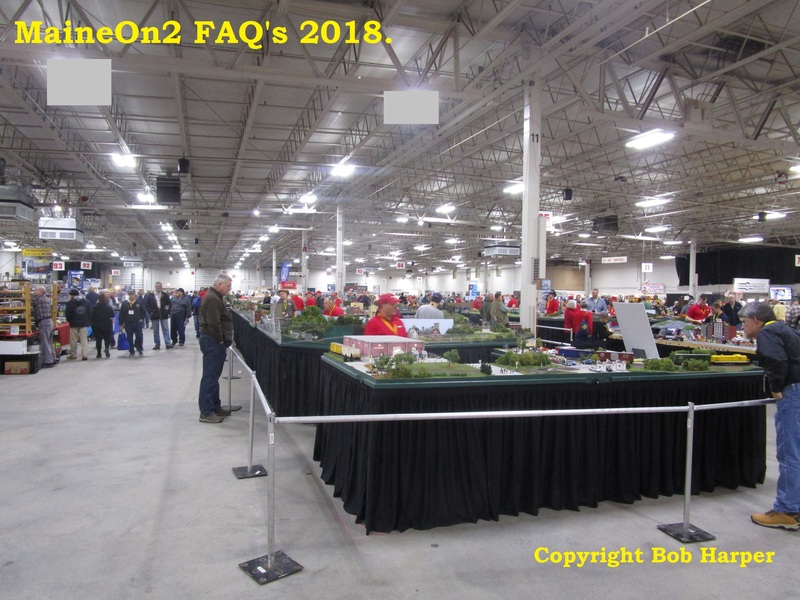 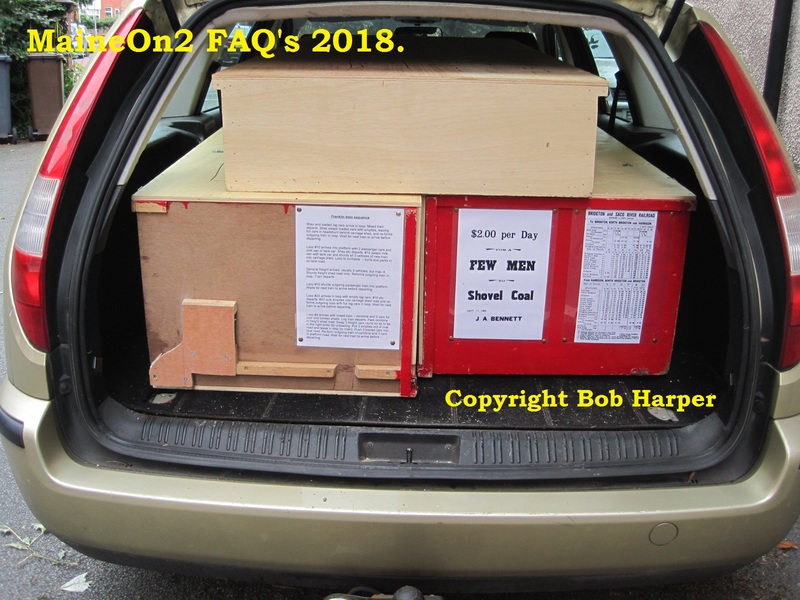 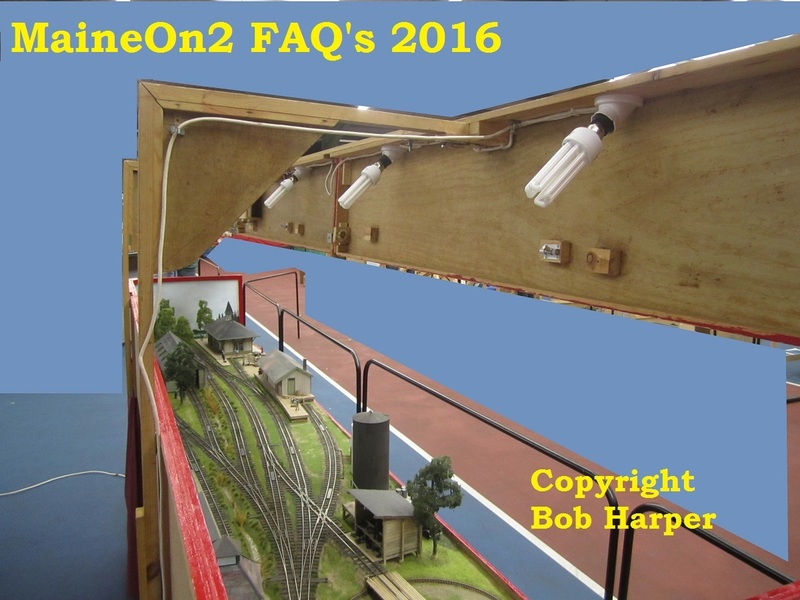 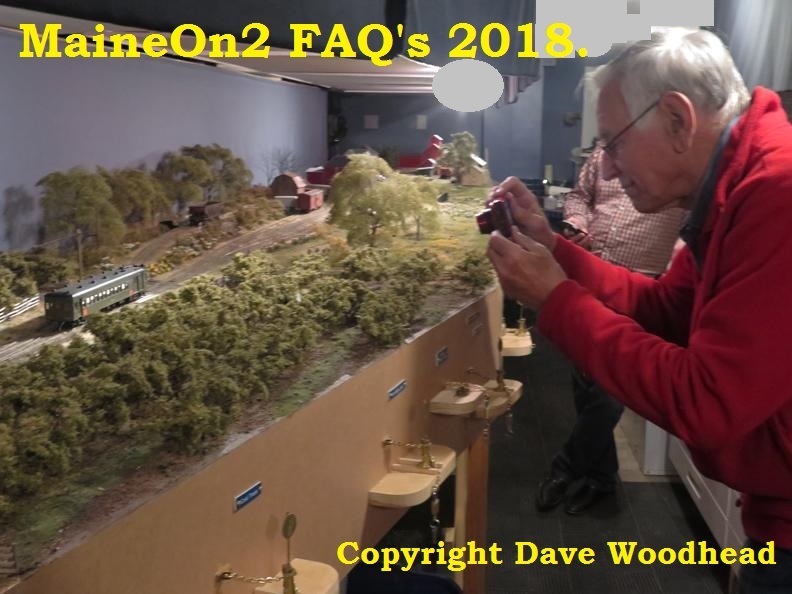 Noted Maine Two Foot modeller Al Churella has built a number of significant models and layouts. 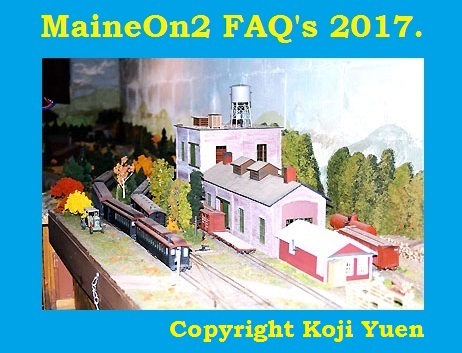 Fellow enthusiast Dan Rowsell has provided the following pictures of Al’s model of Bridgton, Me. 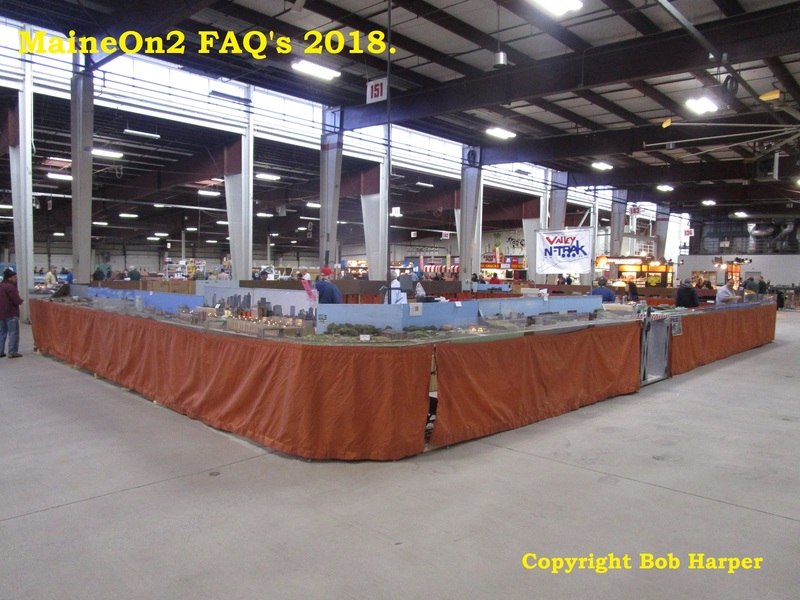 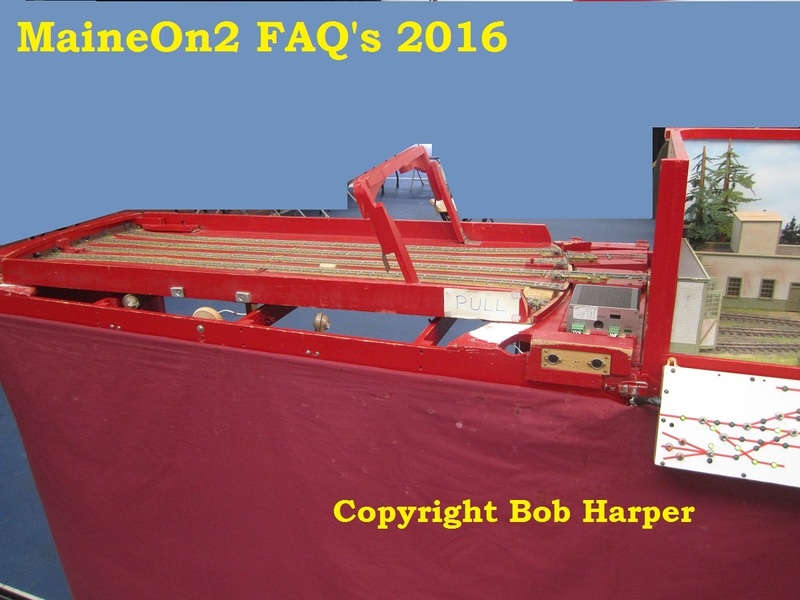 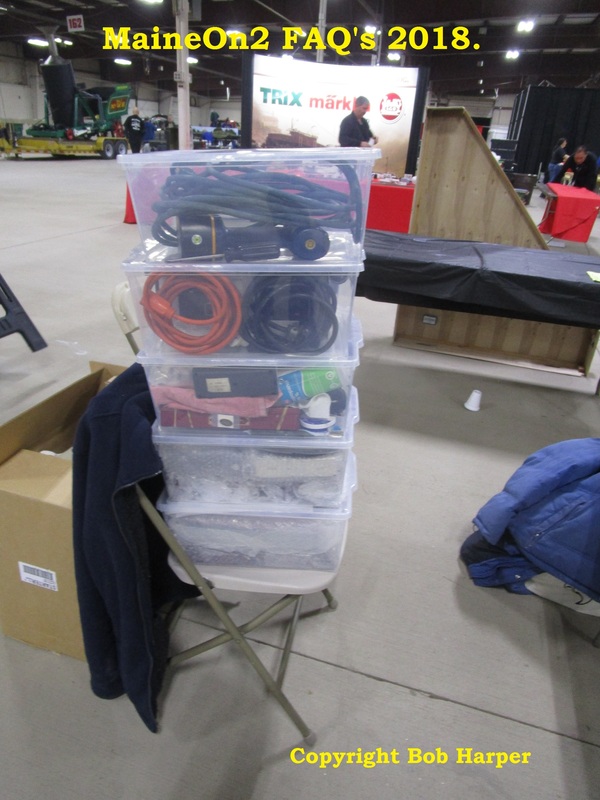 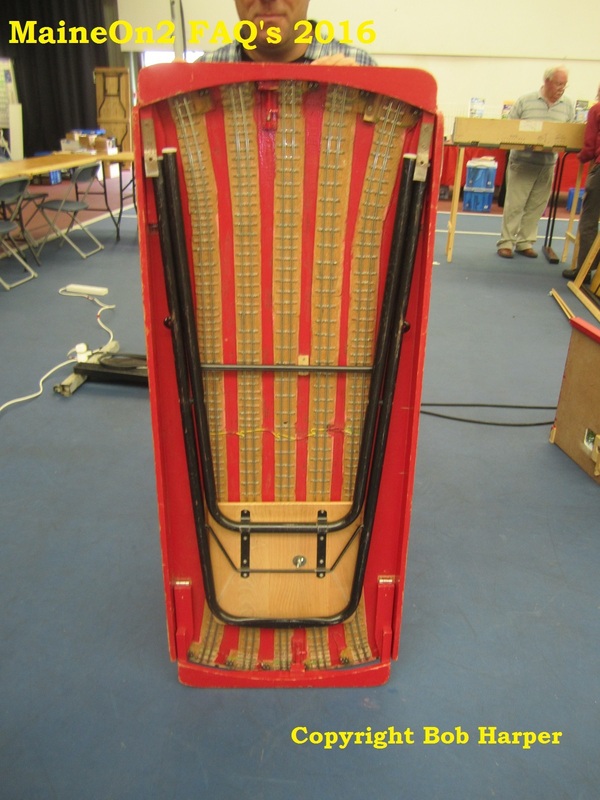 which was exhibited at the 17th Narrow Gauge Convention in 1997 at Cincinnati, OH. 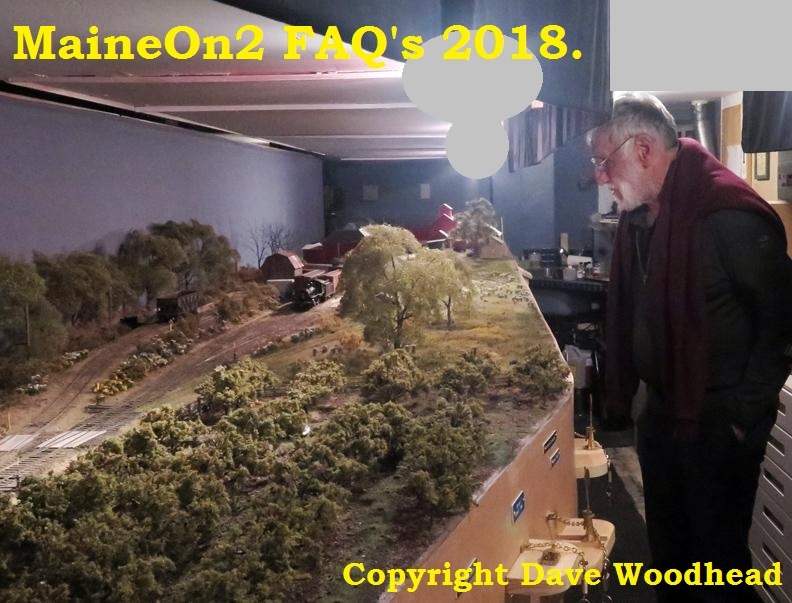 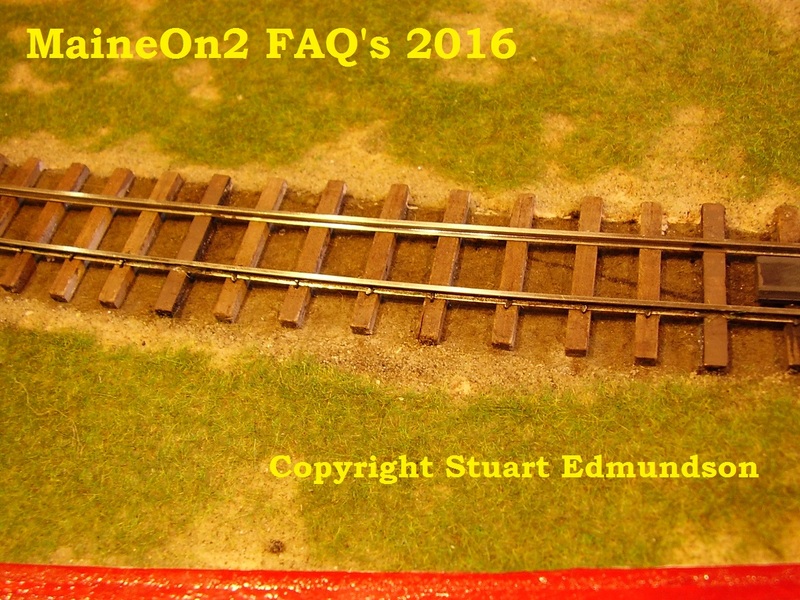 Al has now moved onto modelling the SR&RL with a large basement layout, and Dan acquired the Bridgton layout shown below. 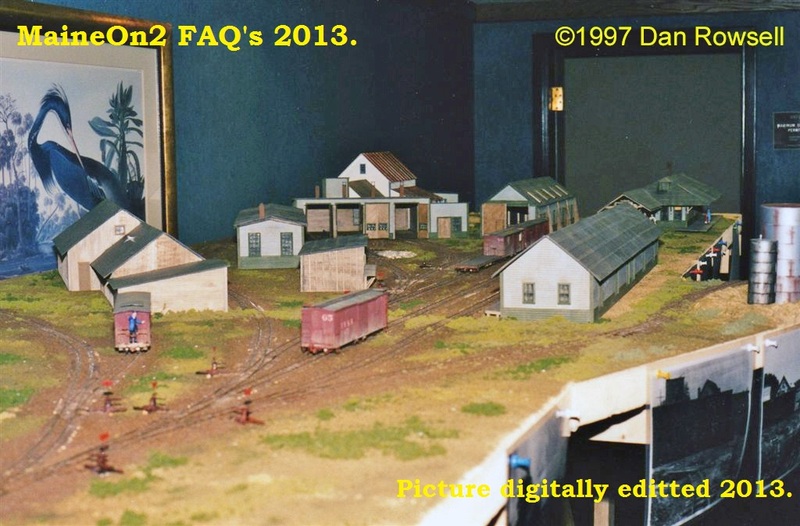 Click here to visit Al’s SR&RL Layout site.